Giuseppe "Joe the Boss" Masseria (Italian: [dʒuˈzɛppe masseˈria]; January 17, 1886 – April 15, 1931) was an early Italian-American Mafia boss in New York City. He was boss of what is now called the Genovese crime family, one of the New York City Mafia's Five Families, from 1922 to 1931. He waged a bloody war to take over the criminal activities in New York City, gaining considerable power for himself. He was killed in 1931 in a hit ordered by his own lieutenant, Charles "Lucky" Luciano. 2 "The Man Who Can Dodge Bullets"
Giuseppe Masseria was born on January 17, 1886 in Menfi, Province of Agrigento, Sicily, in a family of tailors. When he was young, he moved to the town of Marsala, in the Province of Trapani. Masseria arrived in the United States in 1902. He then became part of the Morello crime family based in Harlem and parts of Little Italy in southern Manhattan. Masseria was contemporaries with other captains of that mafia famiglia such as Gaetano Reina. In 1909, Masseria was convicted of burglary and received a suspended sentence. "The Man Who Can Dodge Bullets"
As the 1910s ended, Masseria and Salvatore D'Aquila became rivals for power in New York. By the early 1920s, they were at war with each other. D'Aquila had a vicious gunman under him, Umberto Valenti, who was given the assignment to kill Masseria as a way to conclude this power struggle. On August 9, 1922, Masseria walked out of his apartment at 80 2nd Avenue, and was rushed by two armed men who opened fire on him. Masseria ducked into a store at 82 2nd Avenue with the gunmen in pursuit. They shot out the front window and shot up the inside of the store. The gunmen fled across 2nd Avenue to a getaway car idling just around the corner on E. 5th Street. The car was a Hudson Cruiser, which like many cars of the era had running boards along the sides. The gunmen jumped on the running boards and the car sped west on E. 5th Street towards the Bowery, guns blazing. A Ladies Garment Industry Union meeting had just ended, and dozens of laborers were milling in the street. When they heard the shots and saw the speeding Cruiser coming down the street, they tried to stop it. The gunmen then plowed through the crowd and shot randomly at the blockade, hitting six and killing two, plus a horse. Masseria survived the point-blank hit attempt unscathed and was found by police in his upstairs bedroom shell-shocked. He was sitting up in his bed dazed, his ears were ringing from the proximity of the weapon fire, and there were two bullet holes through his straw hat, which he was still wearing on his head. This incident gained Masseria new respect among superstitious Italian gangsters as "the man who can dodge bullets" and his reputation began to rise as D'Aquila's began to wane. The following month, Masseria arranged for a peace meeting with Valenti and newly released from prison Giuseppe Morello, hinting that he was prepared to give up his aspirations to being the Boss. Valenti and three of his supporters arrived at the restaurant and were met by three of Masseria's men. The men chatted amiably for some time until Valenti realized that it was a set-up, Masseria was not coming, that Masseria and Morello had reached some sort of deal and Valenti was the odd man out. Everyone went for their guns and started shooting. Two of Valenti's men went down and he made a run for it. The Masseria men gave chase but their aim was poor, and the next casualties were a street cleaner and an eight-year-old girl. Valenti jumped onto the running board of a passing taxi and began to return fire. Seeing their quarry about to escape, one of the pursuers took careful aim and dropped Valenti dead in the street. This gunman was always rumored to be Charles "Lucky" Luciano. Masseria now became head of the Morello family, with Giuseppe Morello as his consigliere, or counselor. This may have fit in well with Morello's desire to avoid attracting undue police attention; he was safer taking on a secondary role behind the overt leader. In October 1928, Toto D'Aquilla, the "Boss of Bosses" now more in name than in actual status, was killed by Morello and others. D'Aquilla was accosted in the street by three men after his regular visit to the doctor. The discussion became heated and one of the men drew a gun and shot D'Aquilla dead. 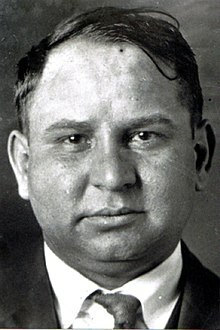 There was known to be bad blood between D'Aquilla and the Masseria (formally Morello) gang, possibly arising out of resentment over D'Aquilla's rise to the position of "capo consigliere" within the New York Mafia, which had coincided with the decline in the fortunes of the Morello family. Alfred Mineo and his enforcer Steve Ferrigno, allies of Joe Masseria, then took over leadership of the D'Aquilla family. In June 1929, Ciro Terranova was questioned in connection with the murder of Frankie Marlow. Marlow was last seen having dinner with Terranova the night he was shot to death. As a fellow Sicilian, Marlow may have been approached, on behalf of the new Unione Siciliane president, with requests that he pay tribute or otherwise comply with the wishes of Joe Masseria. As Frankie Marlow was a leading figure in the New York crime scene, he would certainly have dismissed any such advances. Perhaps he was guilty of under-rating the seriousness of the threat posed by the "old fashioned" Morellos and paid the ultimate price. Ballistics evidence has shown that the bullets that killed Marlow were fired by a submachine gun owned by Al Capone's Chicago Outfit, and that the same weapon was also used in the killing of Yale and for the Saint Valentine's Day massacre. The weapon eventually came into the hands of the authorities after the arrest of Fred "Killer" Burke, a St. Louis, Missouri gunman who participated in the St. Valentine's Day plot. Masseria then moved in on what had been Yale's organization and Anthony Carfano, 'Little Augie Pisano' became head of the Yale family. Carfano's group retained control of Yale's gambling and bootlegging interests, however it may have been at this time that the Waterfront racket was reallocated and came under the control of the D'Aquilla family, headed by Mineo. Joe Masseria was now "Joe the Boss," head of the largest Mafia grouping in New York. Other Sicilian gangsters who were not yet part of his empire, such as Ice racketeer and Bronx Mafia boss Gaetano "Tom" Reina, took note of what had happened to D'Aquilla and Marlow and soon began to pay homage. Masseria next began to put pressure on a Mafia family known as the Castellamarese from Sicily. Nicolo "Cola" Schirò, the group's official leader, turned out to be a weak man. He paid Masseria $10,000 and then "went into hiding", although in fact he was never heard from again. After the disappearance of Cola Schirò, Joe the Boss attempted to install his own candidate as the new leader, as he had with the other families. He supported Joe Parrino; however, Parrino was soon shot to death in a restaurant. Instead, Schirò's place as leader was taken by Salvatore Maranzano. Masseria issued a decree ordering the death of Maranzano. This event marks the beginning of the Castellamarese War. Upset that the conflict between Masseria and Maranzano was cutting into their business, other mafia gangs not involved in the conflict called a meeting of representatives in December 1930 in Boston. They stripped Masseria of his Boss of bosses title and temporarily gave it to Boston mafia chief, Gaspare Messina. They also tried to broker a peace between Masseria and Maranzano but Maranzano refused any overtures while Masseria was still alive and made overtures to Masseria gang members to defect and kill their boss. On April 15, 1931, Joe Masseria was murdered at a restaurant called Nuova Villa Tammaro on Coney Island. Gangland legend has it that Masseria dined with Charles "Lucky" Luciano before his death. While they played cards, Luciano excused himself to the bathroom, when Vito Genovese, Albert Anastasia and Joe Adonis rushed in and shot Masseria to death, his four bodyguards having mysteriously disappeared. The New York Daily News reported that the boss died "with the ace of spades, the death card, clutched in a bejeweled paw." However, both the New York Times and the New York Herald Tribune paint a different picture. Neither newspaper mentions Luciano being present, although Luciano was brought in for questioning by the police. The Herald Tribune reported that Masseria arrived at the restaurant in his armored steel car in the company of three other men shortly before 3pm. Anna Tammaro, mother-in-law of restaurant owner Gerardo Scarpato, waited while they played cards. According to two eyewitnesses, two well-dressed young men drove up and parked their car at the curb. They strolled leisurely into the restaurant, and the shooting began immediately. Some 20 shots were fired. The two gunmen then exited, and without any visible signs of haste, entered their automobile and drove away. Masseria was hit with four bullets in the back and one in the back of the head, identified as .32 and .38 caliber. In an alley next to the restaurant, police recovered two revolvers. At the time, police suspected a gangster named John "Silk Stockings" Giustra as being one of the gunmen in Masseria's murder. This was based on the report of a confidential informant and that one of the coats found at the murder scene was identified as belonging to Giustra. The case was dropped after Giustra was murdered on July 9, 1931. The 2010 book New York City Gangland offers an eyewitness account of events surrounding Masseria's murder which also involves owner Scarpato, who was allegedly extorting money from a small businessman who unexpectedly arrived by car at the Villa Tammaro on April 15, 1931. "As soon as I reached the place", wrote the businessman to the Brooklyn District Attorney, "Scarpato ran over and asked me what I was doing there. Scarpato told me to leave right away and not mention to anyone I had been there that day. I left. Late that night, I read that Joe Masseria had been shot at the Villa Tammaro. This was my first taste of what these men were capable of." Masseria is buried at Calvary Cemetery in Queens, New York. Critchley, David. The Origin of Organized Crime: The New York City Mafia, 1891-1931. New York, Routledge, 2008. Volkman, Ernest Gangbusters: The Destruction of America's Last Great Mafia Dynasty. New York: Harper Collins, 1998. ^ Warner, Richard N. (February 2011). "On the Trail of Giuseppe "Joe the Boss" Masseria". Informer: The History of American Crime and Law Enforcement: 56–58. Archived from the original on 2016-03-07. ^ a b c Hortis, C. Alexander (2014). The Mob and the City: The Hidden History of How the Mafia Captured New York. Amherst, New York: Prometheus. pp. 41–44, 53–56, 71–87. ISBN 9781616149246. ^ "Gunmen Shoot Six In East Side Swarm. Foiled in Attempted Murder, They Pour Volley Into Crowd of Cloakmakers. Flee In Blue Touring Car. Intended Victim's Hat Pierced by Two Bullets. Police Net Gets Blackjack Crew". New York Times. August 9, 1922. Retrieved 2008-08-09. ^ Nash, Arthur. New York City Gangland 2010. ISBN 978-0-7385-7314-4.